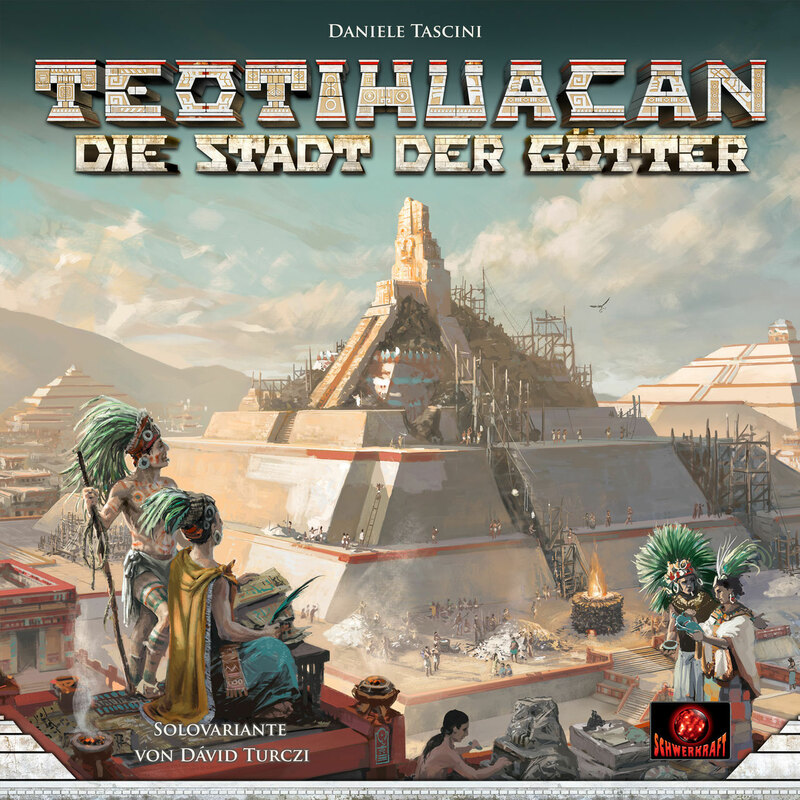 Hi Daniele, your game "Teotihuacan" will be released at “SPIEL 18”. 1) What is the game about? T. is an ancient site located in Mexico. It is a very interested archeological site hiding a lot of secrets not yet understood. 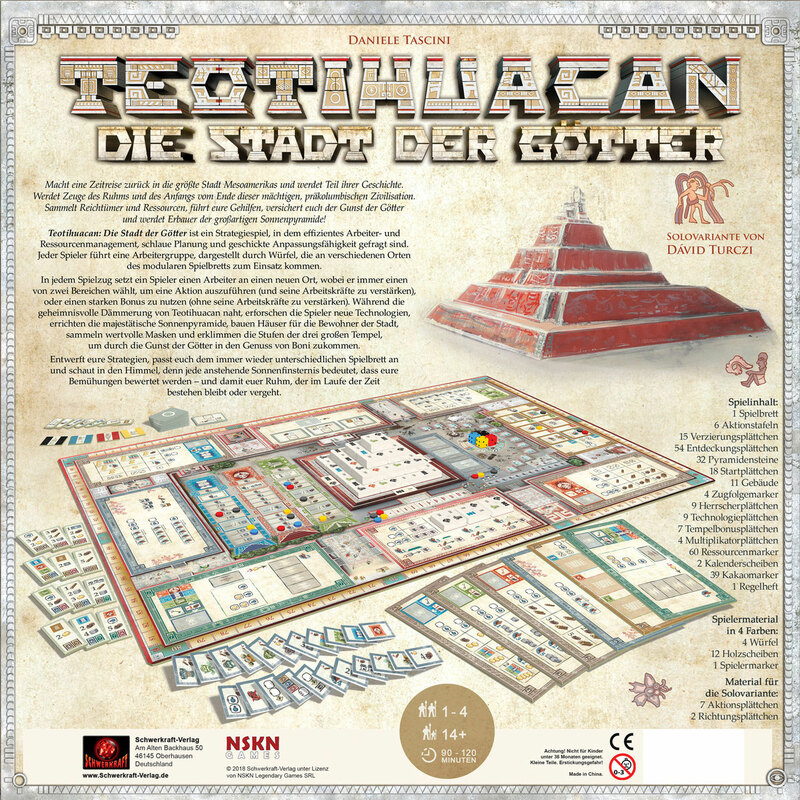 It has been founded by an unknown ancient civilization, much more older then Aztec and Maya, but it was discovered an used by the Aztec, so the name Teotihuacan is an Aztec name that means City of Gods, and it is the only name we know about it. 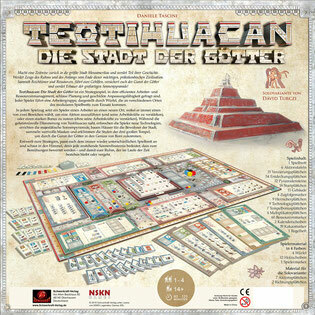 In the game the players take the roles of ancient tribes that contribute to the construction of the Pyramid of the Sun, the biggest building of Teotihuacan, while extract resources from the nearby territory and develop technologies. 2) I look at some pictures of this game. What makes the game so special in your point of view? 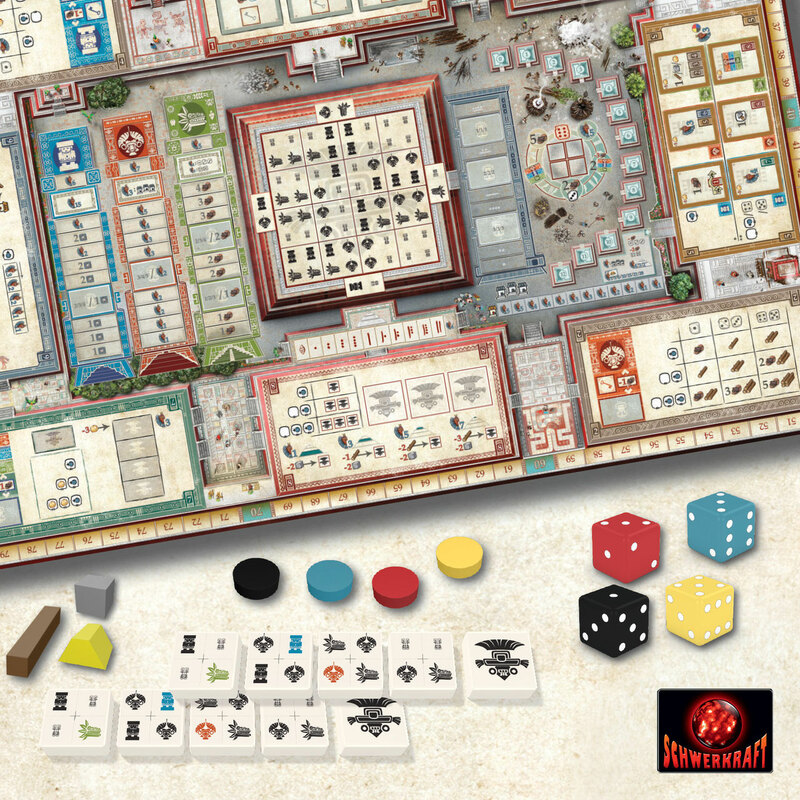 The game develops around a modular board set as a big rondel, where you move your worker-dice around it, activating the various sectors to take the actions. There are two interesting mechanisms: When you ‘land’ one of your die on a sector you have to choose if to pay (as many cocoa as many dice colors are already present) to take the action. Or skip the action and get as many cocoa as you were supposed to pay. The second mechanism is that each time you take an action your worker-dice gain experience and you change the die face adding one pip to indicate the experience level. 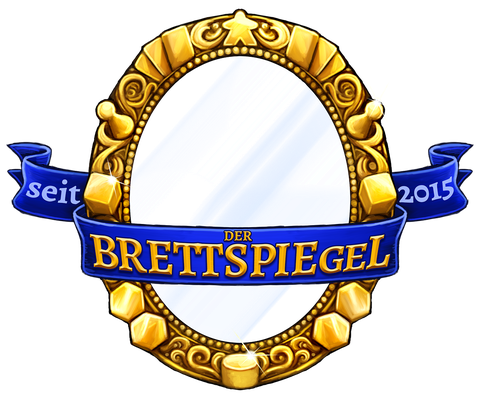 Well, it’s a pure german game with an interesting mechanism but also a strong setting, as my previous games. Who likes "Tzolkin" and "Marco Polo" will like this game :). 4) The first association I had when I saw the game was “Tzolk’in” , a very popular boardgame by you and Simone Luciani. I think you like the theme of Aztecs, do you? Even if it is not the only theme I used, pre-colombian civilizations exert a great fascination for me. My plan is to build a trilogy of weird-named precolombian games (actually none about Aztecs so far :)). Tzolkin about Maya, Teotihuacan about this oldest civ and the next one will be Tenochtitlan about Aztecs. 5) How long have you been working on the game and what difficulties have you encountered? The game flew out of my mind very quickly and I developed it in a few months. Then it took a while to balance and refine it, but all of it less than a year. Unfortunately there is a much more elegant mechanism to count turns I found out that worked really well in 4 players but has big problems in 2 players, so it has been dropped by the publisher because we had no time to balance it before the publishing.